I honestly believe it’s the latter. I read it half in hagrids voice… sorta evolved from mine to his..
Hahahaha. I think I did that too. 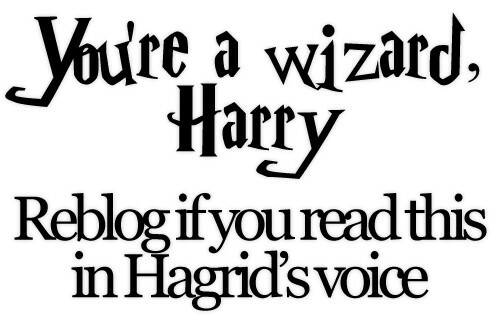 By the time I reached the word “wizard”, I was already using my Hagrid voice.